Umbrella Fund Here’s to us growing old together. The 27four Umbrella Fund is a simple yet flexible solution to cater for the diverse benefit needs of both members and employers. The ability to match expert and independent advice with suitable product allows us to develop individualised plans for achieving the best possible retirement outcomes as well as covering life event risks using the most appropriate insurance products. The Fund is an Umbrella Provident Fund registered in terms of the Pension Funds Act and allows multiple employers and employees to participate under the arrangement and benefit from the associated economies of scale. Members can access best of breed investment, administration and insurance benefits through a single point of entry and enjoy the advantages of good governance and management by an experienced board of trustees. Sustainable and competitive retirement, death, disability and funeral benefits. Range of risk profiled investment portfolios that have consistently delivered superior investment performance. Sound corporate governance procedures in execution of fiduciary responsibilities. Dynamic and effective communication to all stakeholders. Quick response times when dealing with queries and claims. Company management and human resources support. A simple yet flexible solution to cater for the diverse benefit needs of both members and employers. The Trustees are responsible for the overall management of the Fund. They are experts in the fields of pension benefits and investment management. The law prescribes their duties and they are required to meet strict standards in respect of reporting and in managing the affairs of the Fund. Why choose the 27four Umbrella Fund? Benefit from economies of scale. Small and mid-sized corporates can enjoy the same benefits, costs and governance that is generally reserved for large stand-alone retirement funds. At least 15% to 20% cheaper. Our research has shown that the total cost of participating in the 27four Umbrella Fund is on average 15% to 20% cheaper than many of the well known umbrella funds in the market. This cost saving allows members to save more. Benefits design process is central to our offering. Regardless of size, an asset liability modelling exercise is undertaken for each participating employer which allows us to formulate an investment strategy that matches members’ needs, ultimately leading to better retirement outcomes. Ongoing monitoring of the strategy keeps members on track to retire comfortably. Our independence. The selection of best of breed insurers, investment managers and administrators is what differentiates our solution from that of our competitors. This ensures that our clients always receive the best industry solution free from any conflicts of interest. Service and access. Our clients enjoy continued access to senior members of our team. Regular interaction and reporting makes certain that concerns are identified and addressed timeously. 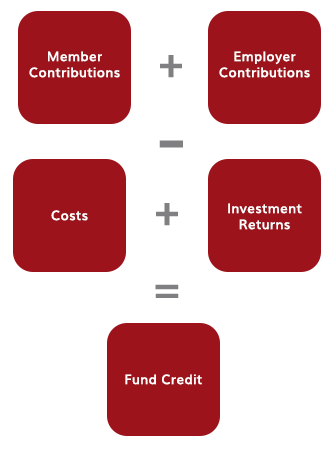 The Fund offers both standard In-Fund Options as well as Out-Of-Fund Options. Contributions. Fund contributions are set out in the special rules for each employer after consultation with all relevant stakeholders. Additional voluntary contributions are also provided for so that members can maximise tax benefits. Investment options. The Fund makes available a range of investment portfolios including Shari’ah compliant and smooth bonus portfolios to meet varying member needs. Insured benefits. The Fund allows for a range of benefits including Death, Disability and Funeral benefits. For those employers seeking customised solutions we allow for significant flexibility in the design of your benefits structure. Contact us to request a consultation with one of our senior consultants. Many of us worry if we will be able to retire comfortably. This is extremely concerning because as South Africans we do not save wisely. We make contributions to retirement savings but most often we do not know how our money is being invested and by whom, what insured benefits we have and how much are we paying for these benefits. Also one of the biggest challenges we face is that we do not preserve our retirement savings when we change jobs. Instead we withdraw our benefits as lump sums and spend it on settling debt or even on luxuries that won’t provide us with an income when we retire. Employer sponsored retirement funds are one of the best ways to save for retirement. Well-designed retirement funds can help members achieve their retirement savings goals. This is done by looking at each member and understanding his or her needs. Linked to this is efficient communication from the Fund to explain the existing benefits so that members understand how these benefits fit into their financial plan. Knowing where you stand is the first step in creating a financial plan. Once you understand what your benefits are, make sure you understand what the outcome will be of the decisions you make. Where you don’t feel comfortable in making a decision find out if there are default options and understand what these defaults mean. Saving for your retirement is a long road to travel and there may be diversions and crossroads, but knowing where you want to be and the road you need to travel keeps you on track to reach your final destination. As an employee, you will contribute a portion of your monthly salary as agreed with your employer to the Fund. The full amount goes towards saving for your retirement. Your employer will also make a contribution to the Fund which also goes towards your retirement savings and pays for your insured benefits and the Fund expenses. Your retirement savings are invested in an investment product that is linked to the performance of the financial markets and managed by professional accredited investment managers. The value of your contributions grows over time. Your contributions made including the growth on your contributions less all costs incurred is referred to as your Fund Credit, the minimum investment benefit that will be paid to you on exit from the Fund in the event of retirement, resignation, dismissal, retrenchment or death. This benefit is always subject to tax. Transfer to new employer’s retirement fund No tax, unless you owe income tax. Continue to make contributions. New investment options available under the new employer scheme. You have no access to the benefit until you terminate your employment. Transfer to a retirement annuity fund No tax, unless you owe income tax. Continue to make contributions. Wide range of investment options available in the market. Be cognisant of product costs and advisor fees that can erode your benefit. You can access your benefit at age 55. At retirement you can take up to a third in cash and must invest the balance to provide you with a lifetime pension. Transfer to a preservation fund No tax, unless you owe income tax. Access a wide range of investment options available in the market but be cognisant of product and advisor costs. You cannot continue to make contributions. Whole benefit can be accessed prior to retirement subject to tax being paid. 27four Umbrella Fund option – leave your benefit in the Fund No tax payable. Retain the same investment strategy you had prior to leaving the Fund. Investment options limited to those offered by the Fund. No additional contributions can be made. Fees remain unchanged and you can withdraw anytime you choose. Take the whole or part of the benefit in cash Pay tax as per the tax table for retirement fund withdrawal benefits. You have complete freedom to spend the cash as you choose. You break the retirement savings cycle and need to start all over. This is one of the biggest mistakes that members make. Invest your full Fund Credit to provide you with a monthly/quarterly/yearly pension. Take any portion of your Fund Credit in cash and use the remainder to invest for a pension. Take your full Fund Credit in cash. Members can continue to remain in the Fund post-retirement. This means that members will become pensioners of the Fund and receive a pension from the Fund. Members can continue to remain invested in the same portfolio as they were invested in prior to retirement or have an option to select another portfolio made available by the Fund. The costs of the Fund pension are generally lower than pension income products sold to the public. The trustees of the Fund continue to monitor your investment and consider whether it remains appropriate. Fund officials are accessible to assist members in making their post-retirement investment decisions.